Here is another digital tool which analyzes the first time Australian words were used in print (cf. our previous blog about mining Australian sources). This graph shows the dates of first quotations for all the words in the Australian National Dictionary. Hover over any point along the graph and you are given the date and number of first quotations from that year. 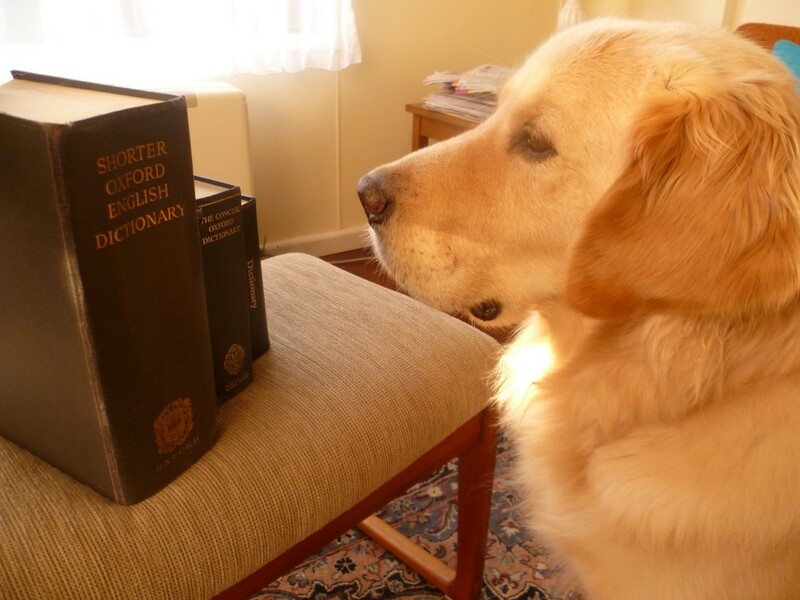 Over the past few months here at the Australian National Dictionary Centre, we have been developing several digital tools for mining the content of the Australian National Dictionary, the definitive historical dictionary of Australian English. One tool analyzes the quotations in the dictionary that are used to exemplify a word’s use over time, and provides an interesting perspective on the history of publishing in Australia and an insight into the kinds of Australian words these publications contributed to our lexicon. Hence, this tool is a useful resource for everyone interested in Australian literature and language, especially Australian book historians and scholars of the history of Australian English. 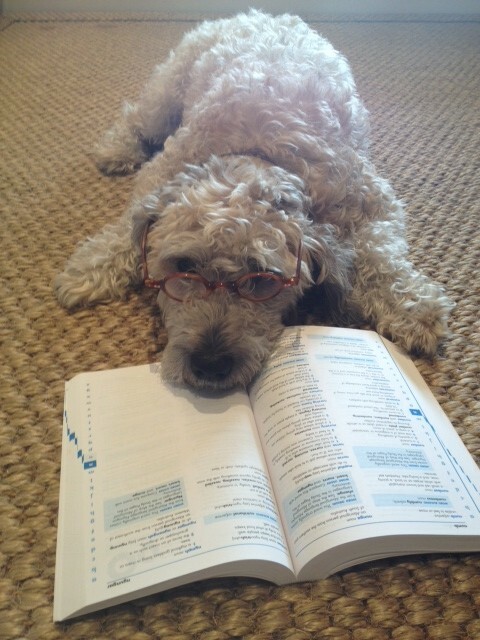 Because dictionaries are too good to waste on cats and humans. 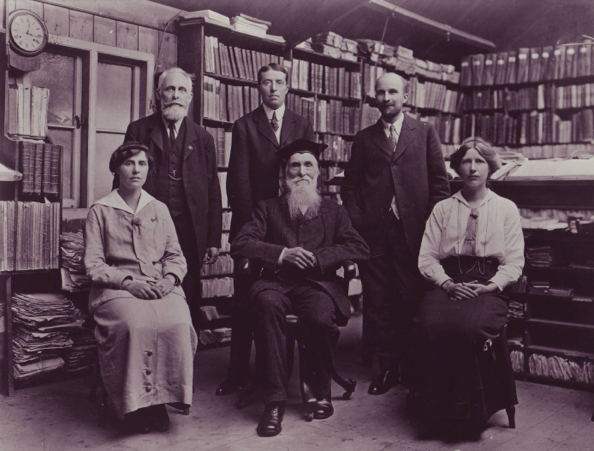 Elsie Murray (left) and Rosfrith Murray (right), lexicographers on the first edition of the OED, pictured with their father James Murray, Editor of the OED (centre front) and back row: A. T. Maling, F. J. Sweatman, F. A. Yockney. On International Women’s Day, it seems appropriate to pay tribute to female dictionary-makers, present and past. 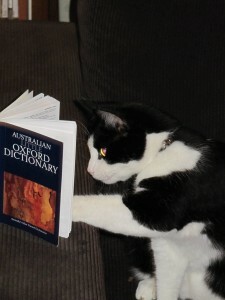 Australia has had its fair share of English-language dictionary specialists including Jay Arthur, Ann Atkinson, Maureen Brooks, Pauline Bryant, Sue Butler, June Factor, Bernadette Hince, Joan Hughes, Dorothy Jauncey, Lenie (Midge) Johansen, Nancy Keesing, Anne Knight, Amanda Laugesen, Alison Moore, Sarah Ogilvie, Pam Peters, Joan Ritchie, and Julia Robinson. As a young lexicographer at the Australian National Dictionary Centre in the early 1990s, I was surprised to discover that every lexicographer, except for the Director, was a woman. Globally, there are also prominent women: Katherine Barber (Canada), Dianne Bardsley (New Zealand), Jean Branford (South Africa), Joan Houston Hall (USA), Judy Pearsall (UK), and Penny Silva (South Africa), to name just a few.